The Welcome Back Boater Party will be held on the west patio from 7:00 p.m. until 11:00 p.m. 1540 is back by popular demand for music, dancing and an all around great time! We'll be grilling burgers and the beer garden will open at 6:00 p.m.! NEW LOCATION! Seniors 55 & older, come enjoy a day just for you!Enjoy a free lunch, goody bags (while supplies last), and musical entertainment. Senior Day festivities occur in the Clipper Room at the Hammond Marina. It's that time of the year! Polka it up at the Hammond Marina with entertainment by Tri City Drive. Refreshments and authentic Polish food will also be available for purchase. Food prepared by the world famous Cavalier Inn of Hammond. Free admission and parking. Be sure to bring your own lawn chairs and blankets. 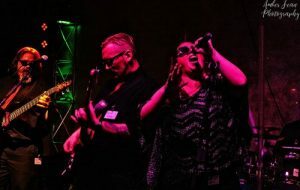 The Say Yes Band will rock the marina with the sounds of Motown. Join us for the end of the season boater party.